(1) Electro-Motive Force, or E.M.F., is a consequence of the law of electromagnetic induction, Faraday’s Law. This is his Electro-Tonic State. It is dimensionally the time rate at which magnetic induction is produced or consumed, or in other words “moved about”. 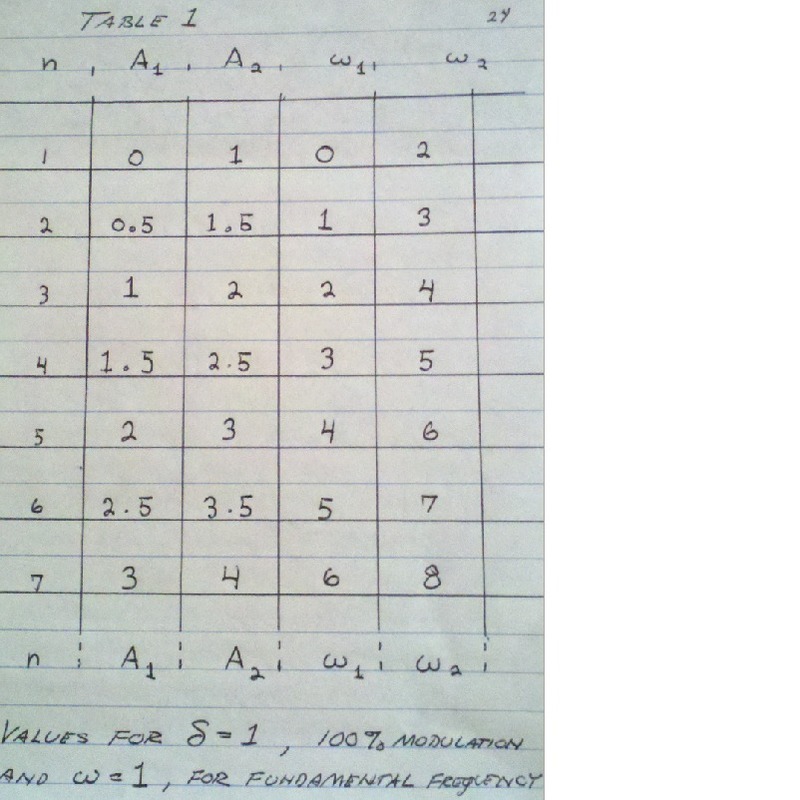 The dimensional relation is given asWeber per Second,This defines E.M.F. in Volts. (1) In this series of writings the principle objective is the theoretical treatment of the magnetic amplifier as applied to synchronous parameter variation. The magnetic amplifier is a development of Ernst Alexanderson, a Swedish born engineer. Alexanderson worked directly with Steinmetz at General Electric. Here developed was the Alexanderson system of wireless transmission. This system was the only wireless development to show novelty over all of the encompassing patents of Nikola Tesla. The magnetic amplifier is an important element in the Alexanderson system of transmission. (2) After the fall of Nikola Tesla and Wardenclyffe in 1904, a dark age fell upon the wireless. Promotional efforts, fraud, monopolistic practices, all ensued. Names like Lee DeForest, G. Marconi were the rulers of this age. See “Empire of the Air”. A morass of interference developed from the stations of inventors and experimenters. With the onset of World War One, it became a matter of national security. The Alexanderson system was developed by 1917 and would effect greatly the course of radio history. The result is the segregation of the resistive from reactive terms, or more properly the kilowatts from the kilovolt-amperes reactive. Great simplification is derived here thru inductance expressed in ohms as is resistance, and by capacitance expressed in siemens as in conductance. The differential expressions vanish and Ohm’s Law as well as Kirchoff’s Law can be utilized in alternating current circuits. This is known as the “Steinmetz Method” a mathematical breakthru for the expression of the phenomena of alternating electric waves. 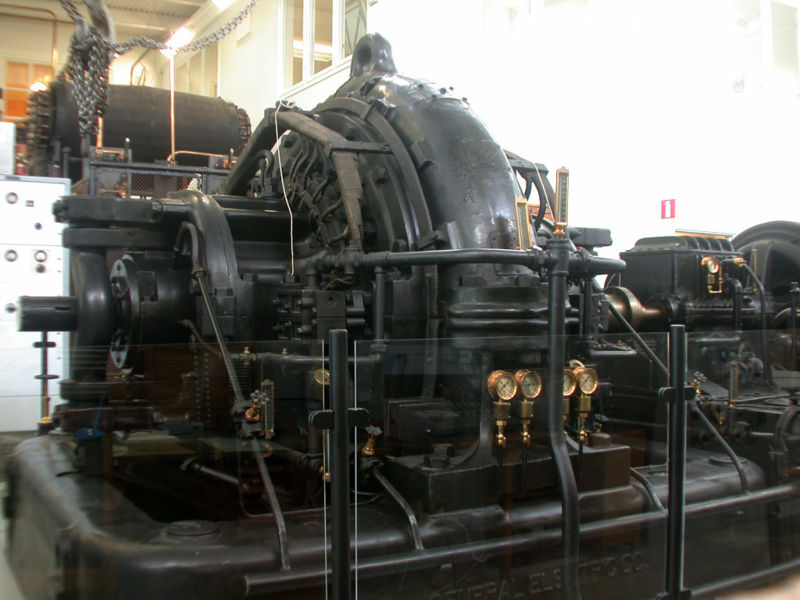 This was the birth of electrical engineering in alternating current systems. While the engineer loves it, (This is why E.F.W. Alexanderson came to America, in order to work with the great engineering mathematician, Dr. Steinmetz.) the pendant has a deep contempt for the Steinmetz methodology (Pupin). At a common level, upon my unusually high test scores in naval electronics entry school, this thru my use of the Steinmetz method, naval instructors accused me of cheating, and caused me trouble! This sheet current is the magneto-motive force that maintains the magnetic induction. This is in distinction to the current, i, which is related to the “electronic” current. Hence the M.M.F. is expressed in ampere-turns, the “electronic” current, i, and the number of turns, n. For example, a reactance coil has 1000 turns, and it is drawing a current, i, of one ampere, the sheet current of the coil, is, is now 1000 amperes. Hence this coil is operating with a M.M.F. of 1000 ampere-turns. Large M.M.F.’s can be produced with small currents thru the compounding of these currents via multiple turn windings of many turns. The limiting factor is the accumulation of series resistance as the winding gets longer in length. This was an important discovery in electro-magnetism. 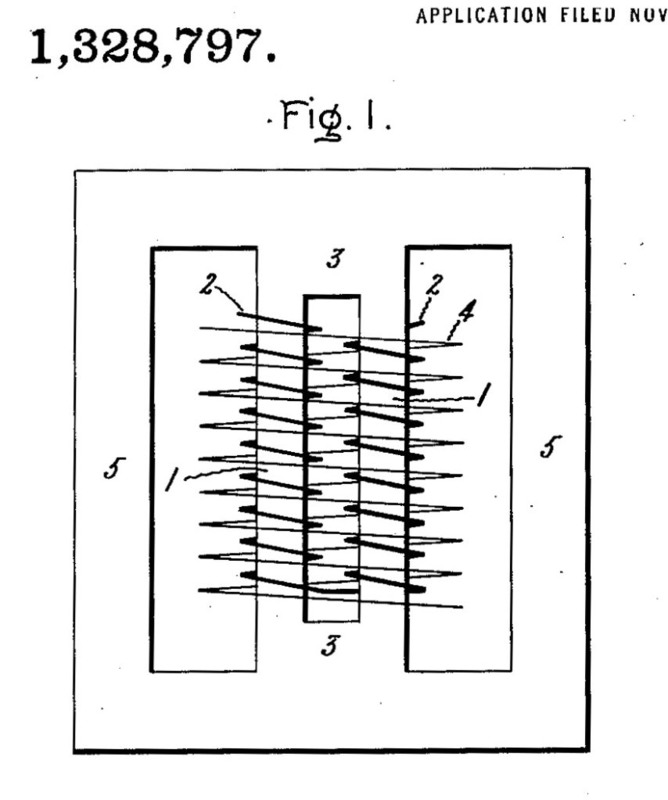 It’s first engineering application was the Morse Telegraph Coil as developed by Joseph Henry, the American Faraday. The individual currents are identical thruout the coiled winding, no gradient exists in this current. The individual E.M.F’s are also identical, but not as with the current. A gradient exists in between the turns as the E.M.F. compounds along the winding. Hence a voltage gradient exists along the winding length expressed as volts per turn. Here in this metallic-dielectric geometry the magnetic force and the dielectric force are oriented in the same direction, (MK). This is the “Steinmetz Formula” for the law of E.M. Induction, a convoluted mess! This is a “practitioner’s” formula for winding dynamo coils, not a starting point for a theoretical study of A.C. phenomena. This derives from Steinmetz’s expression the co-efficient of self induction. Hence the total magnetic induction is the product of two Independant Parameters, each of which contributes to the induction. Each of these two parameters can be variedseparately. The E.M.F. is developed thru the resulting variation of the total magnetic induction. Here enters chapter 25, of Steinmetz’s A.C. book, 1916 edition. The chapter is titled “Distortion of Waveshape and Its Cause”. Here Steinmetz develops expressions for what is called Synchronous Parameter Variation, for both rotating and static apparatus. This serves as an extension on the Theory and Laws of Hysteresis. These fundamental relations bear resemblance to those of Ohm’s Law, as basic expressions of proportionality. Saturation gives rise to a Non-Linear loadline. The path taken by a point on this curve thru the A.C. cycle follows the same path up the curve as down the curve. This curve defines a single path. Also, here in the Iron, the Saturation curve is Symmetrical, both positive and negative values give the same curvature. The Non-Linearity of the Saturation curve gives rise to Dis-Proportion between cause and effect. This in turn distorts the wave into a non-sinusoidal form. A series of odd ordered harmonics is produced by this non-linear distortion. This is an Amplitude Distortion of the A.C. wave.Hysteresis gives rise to an Elliptical loadline. A point on this curve does not follow the same path up the curve, as that path down the curve. Each path is on one or the other side of the elliptical curve. This path is now a loop. The elliptical load line is ultimately derived from a linear curve as a side view of a rotating circle. Hence the distortion produced is not an amplitude distortion as normally considered. In the elliptical curve the distortion is not the result of a dis-proportionate relation between cause and effect as with the Saturation, rather it is that cause and effect have become separated in a time loop. Thereby Hysteresis gives rise to a Phase Distortion in the A.C. wave. The alternator is a complex machine but the Mag-Amp is a quite simple device. The Mag-Amp is where to begin the study of parameter variation.The utilization of the Mag-Amp as a parameter variation device is somewhat different than its use as an amplifier. As an amplifier it serves as a variable Impedance,consuming E.M.F. as a Reactance Coil. In the situation of parameter variation this device is called upon to produce an E.M.F. and thereby function as an A.C. generator. One important feature of the Mag-Amp is that the control windings are Electro-Magnetically isolated from the power windings. The Magnetic circuit of the Mag-Amp acts as a balanced bridge, giving a cancellation of power flux in the control winding. Hereby no energy can be exchanged between control circuits and power circuits. This is a consideration in the Law of Energy Continuity. (4) The Synchronous Machine has applications other than converting mechanical to electrical Energy as a generator, or converting electrical energy to mechanical Energy as a motor. The Synchronous Machine can synthesized Electric Power. 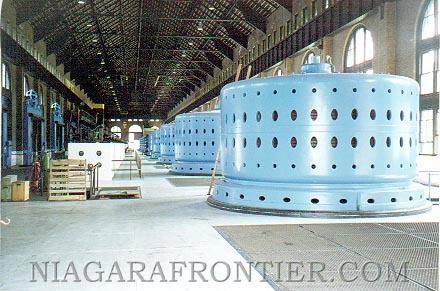 Here the machine operates with no mechanical connection to the shaft whatsoever, it is spinning freely in synchronism with the applied A.C. wave.When the Synchronous Machine is operating in perfect synchronism with an A.C. power line, no power flows into, or out of, the A.C. power line. 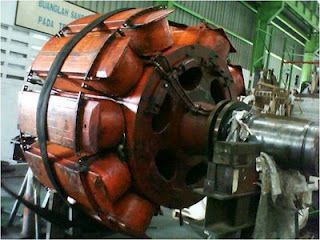 Here the rotor is in exact step with the rotation of the A.C. wave developed by the machine stator. Both rotations are in phase unison, top dead center on the rotor is top dead center on the stator, the two rotations in synchronism. In order to maintain this condition the machine must be excited by a specific quantity of Magnetism, this produced by the Field Current. This specific value is determined by the condition of no power flow between the machine and the power line. Here the E.M.F. of the machine just matches the E.M.F. of the line, not cross current exists. This is a neutral condition. If the Field Current (and excitation) is increased beyond the value required for a neutral condition, the rotor pushes ahead of the rotating A.C. wave to a position advancedin phase, but still rotating in synchronism with the wave. With increasing excitation the machine begins to draw a leading Current from the power line, the greater the excitation, the greater the current taken by the machine from the line. Since these Currents are reactive no Energy is expended in maintaining them. Here the Synchronous Machine is exhibiting the characteristics of and Electro-Static Condenser and in this manner of operation it is called a Synchronous Condenser. In this manner the Synchronous Machine is operating as a two terminal Reactance Arm. There is no connection to the rotating shaft. The Machine can synthesize an actual Inductor or Condenser. Operating in this manner the machine can create a substantial reactive power flow, this flow controlled by the D.C. excitation of the machine. ThisControlled Reactance is used at the end of long distant power lines in order to regulate the voltage and phase at lines end. The parameter variation in this chapter is of the synchronous type. Here the Inductance of a reactance coil with an applied A.C. current is brought into synchronous variation at a harmonic rate in proportion to that of the applied A.C. current. Two E.M.F.’s are developed, that of the reactance opposing the variation of Current, and that of Inductance variation. The E.M.F. of constant Inductance and Current variation is compounded with the E.M.F. of constant Current and Inductance variation. Steinmetz fails to separated these two E.M.F’s. Here exists a modulation process, the Inductance variation modulating the reactance current variation. Complex E.M.F.’s result consisting of multiple frequencies and with distorted waveforms. The equations for harmonic summation are not clear and something seems not right. No in depth analysis exists of Resistance parameter variation on a theoretical level, everything is reduced to effective values. E.M.F. is not equated to a co-responding current in many cases making the study of Power Flow difficult in the case of Inductance parameter variation. It is noteworthy in this chapter that Steinmetz gives experimental verification of his parameter variation expressions. It is this feature of Steinmetz’s work that makes it of value.